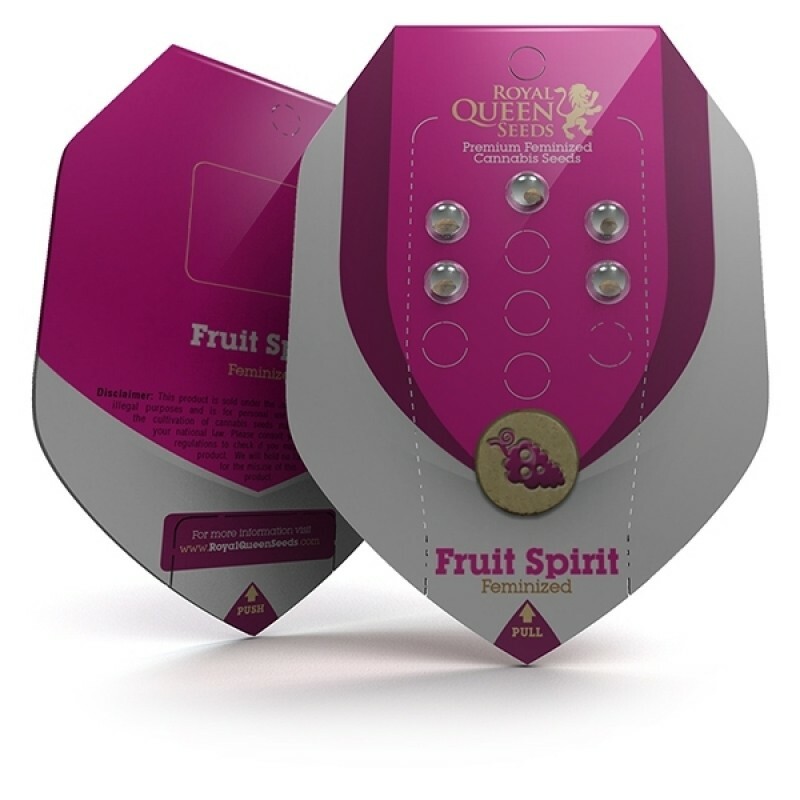 Fruit Spirit Feminized will yield on average 30-40 g per plant, or about 375-425 g per square metre under a 600W light. It doesn't stretch much during flowering , so fans of big main colas will be very pleased with the growth of Fruit Spirit. Consisting of tight, frosty buds, it carries an aroma that will have you itching to harvest.